It is one thing to say that Descartes mistook the body and the mind for two different ontological substances. Putting the body (including the brain) and the mind together again, and regarding them as expressions of one substance, is a much more demanding matter. Still, trauma experts become ever more convinced that the consequences of severe neglect, abuse or still other horrors affect individuals at the level of the whole organism. Leslie Korn is certainly one of them. In this intriguing book she thus addresses the whole person, clinically, empirically, and therapeutically. I highly recommend trauma therapists to test the integrative path to understanding and healing she invites us to tread. Rhythms of Recovery is brilliant and comprehensive. Integrating work from numerous disciplines, Dr. Korn brings profound insight into the impact of trauma and the body. She guides us in listening to voice of the body and provides extraordinary guidance with practical and alternative forms for health and healing. This is a long awaited and needed book―amazing work! In Rhythms of Recovery, Leslie Korn provides a unique review of the historical and cultural roots of trauma. She forcefully endorses the role of the body in defining the traumatic experience, and its essential inclusion in the healing process. 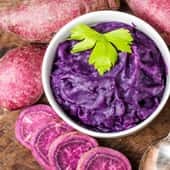 Finally, Korn presents a thorough review of behavioral, somatic and nutritional avenues to healing. Her depth of knowledge, clarity of presentation and rich fund of supportive references make this a unique contribution to the literature addressing the understanding and healing of trauma. In this phenomenal book, Leslie Korn explores ever-more important processes of self-regulation and offers insights of great practical―as well as philosophical―value. The longer we study the effects of traumatization, the more we see the impact on the body. Leslie Korn shows us how the body operates rhythmically, how trauma disrupts that rhythmic functioning and, most importantly, how a plethora of new (and old) methods can be used to help the body restore its balance. This book is a must read for every therapist who deals with trauma. Rhythms of Recovery masterfully weaves the history of medicine as it relates to trauma and gender with ancient and contemporary interventions using the power of touch. Thoroughly researched, this book offers an integrated approach to treating trauma, and its therapeutic protocols and interventions advance a holistic approach to treating trauma. All emotional disorders are the result of trauma, mostly from in utero through the first 7 years of life. The modern uncivilized practices of unlimited wars and repeated forceful immersion of soldiers in barbarian trauma has produced an epidemic of PTSD. Rhythms of Recovery offers a road out of the insanity. 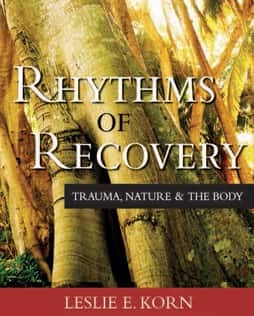 As a psychologist and dance movement therapist, I am happy to see Leslie Korn’s book Rhythms of Recovery: Trauma, Nature, and the Body, appropriate for people who have experienced trauma as well as for therapists working with trauma victims. Most books on trauma are one-dimensional; they may deal with emotions and cognitions but leave out consideration of the body. Or they may deal with the body but leave out consideration of the environment around the body or omit a broad cultural context. Korn’s book manages to integrate psyche, soma, and spirit as well as nature, physiology, and culture through the theme of rhythm. This book broadens contemporary understandings of trauma beyond the current confines of academic discourse to complex real-world issues of culture and spirit. I strongly recommend this book as an essential resource and guide for clinicians and their patients who have experienced trauma. Rhythms of Recovery: Trauma, Nature, and the Body is the first scholarly work that attempts to fill the enormous gap in the conventional armamentarium used to treat PTSD. Dr Korn’s clinical work in rural Mexico and academic training at Harvard eminently qualify her to unite the complex threads of conventional and alternative therapies into a compelling tapestry of therapies addressing the complex social, psychological, cultural, biological, and energetic causes and meanings of traumatic experience. Her book will be received with welcome relief by trauma therapists and their patients who have grown weary of the limited narrative of conventional care. Dr Korn has created a work that is rare: it is both thick with content and grounded in spirit. I am a holistic and integrative psychiatrist and over time I see that more and more of my work is found to be trauma based. We all need help understanding the role of trauma and finding a path out of this deeply painful experience that can linger for decades in the mind and spirit. I love what she brings to this topic. This book is a wonderful resource.